Ronnie Farnham's husband is supposed to move out today. But when Jeff pulls into the driveway drunk, with a shotgun in the front seat, she realizes nothing about the day will go as planned. The next few hours spiral down in a flash, unlike the slow disintegration of their marriage--and whatever part of that painful unraveling is Ronnie's fault, not much else matters now but these moments. Her family's lives depend on the choices she will make--but is what's best for her best for everyone? 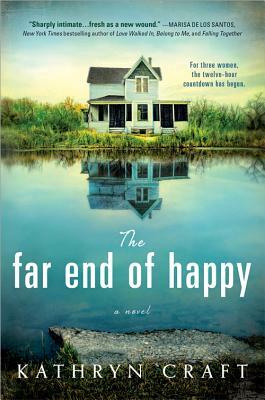 Based on a real event from the author's life, The Far End of Happy is a chilling contemporary novel. Fans of Mary Kubica, Diane Chamberlin, and Rosalind Noonan will be on the edge of their seats during this story of one troubled man, the family that loves him, and the suicide standoff that will change them all forever.